Successfully Added Digital Camera 1/2.5Inch CCD 7.0M Pixel, Optical Zoom, 2.4-inch to your Shopping Cart. 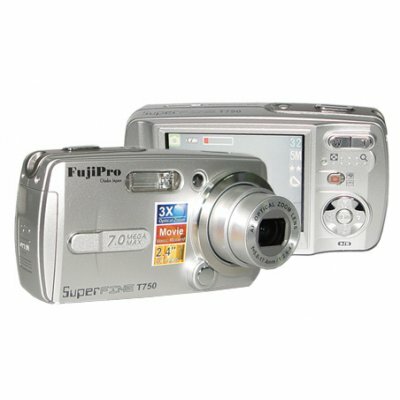 Durable and easy to Digital Camera perfect for use by beginning photographers, or photo hobbyists. Equipped with built in 32MB flash memory, SD/MMC card slot support, an optical zoom of 3X, and effect mode, take multiple photos at high quality, make them the way you want them, and all at unbeatable wholesale price. Note on Interpolation: Please note that this camera takes images in sizes equivalent to 7.0 megapixels. This is through a software resizing process on the camera called interpolation. The image sensor of this camera has a native resolution of 5.19 megapixels. Shutter Speed: normal: 2sec.-1/1000sec. Night Scene: 8 sec-1/1000sec.